Mythbusters: Gin does not need to mature! The world of self-proclaimed spirits experts, craft adepts, and gin whisperers agrees: Gin doesn’t need to mature! “Produce today and sell tomorrow” – is that truly the only way forward? As a one-time industry outsider with a focus on quality one might call neurotic, you almost can’t avoid stumbling across this type of nonsense. Maturation, which is when a distillate undergoes oxidation, is nearly as essential as the actual distillation, and certainly not a mere afterthought. It takes the edge off the distillate, making it soft, round, and balanced. 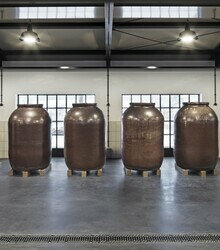 That’s why we give the Monkey 100 days to fully develop his unrivalled complexity in traditional earthenware vessels. Earthenware plays its own special role in this process by providing a porous structure rougher (and thus more permeable to air) than glass or steel. This facilitates an ideal exchange of oxygen – and we imagine the angels appreciate getting their fair share, too. Letting a spirit mature is an expensive, but indispensable commitment to quality. Another myth busted! sharing this blog article is caring! The distillation process we use is a complex one. 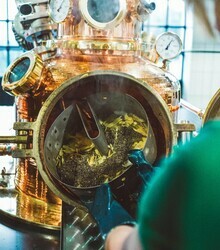 Along with conventional maceration and distillation techniques, we employ the principle of percolation, which involves channelling alcoholic vapours through more fresh botanicals using Carter-Head stills. This distillation approach enables our master distiller to single out and highlight specific flavours within the composition of the distillate’s aroma and intensify volatile and subtle elements (such as floral notes) as a counterpoint to the more dominant components. We take extreme care when distilling by applying the least possible pressure, slowly rising temperatures, and gentle cooling. This is incredibly time-consuming, but it ensures that the fragile, flowery aroma components in particular aren't destroyed in the distillation process. The follow-up separation phase also takes place very, very early on, meaning we only use the absolute core of the distillation process. Depending on the type and variety of ingredients you use, tannins that produce unwanted aromas can also develop over time. Ultimately, the ample empirical evidence we compiled in the two years we spent developing the Monkey’s aroma profile determines how long we macerate. Percolation, Carter-Head stills, fragile fragrances - why does everything have to be so complicated? "You can't do it any simpler" is one possible answer, but it's not the right one. It actually has to do with the internal relationship between taste and smell, the latter of which plays a special anatomic role due to it being the oldest of our senses in evolutionary terms. Unlike our other senses, it bypasses the thalamus (in the brain) and sends information directly to the amygdalae and frontal lobe. The variety of olfactory data that arrives here is combined into an overall impression. The information is also passed on to further regions of the brain that link the smell at hand to emotions, desires, or motivational functions and store it in our memory. This is why smells tend to evoke feelings and have a conditioning effect on our sense of taste. Assembling a fully fledged composition of aromas thus requires a range of different methods, and as you've probably guessed, there's nothing simple about it. Our approach to distillation is a complex one: It involves both distilling the macerate and using steam extraction to channel the alcoholic vapours through fresh botanicals using a Carter-Head still. Steam extraction is what enables the master distiller to selectively regulate the distillate and coax out its individual notes with a high degree of precision. The resulting distillate is then allowed time to harmonise and develop a perfect balance. 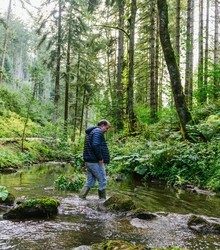 The extraordinary quality of the Black Forest's spring water is essential to what we do. With its low levels of salt and other minerals, this water is the perfect complement to all types of distillates - especially the one that makes Monkey 47. To avoid losing the subtle aromas that are vital to our gin, we deliberately forgo the type of cooling treatment typically applied. Apart from a coarse filtration process involving a sheet filter, Monkey 47 is left entirely unfiltered to preserve its full range of complex aromas. We can't imagine doing it any other way! We produce our gin's characteristic tangy notes through a complex combination of citrus fruits and herbal ingredients. Alongside bitter orange and lemon balm, we also use the seeds of the local Angelica archangelica. From the beginning, we had a fresh, zesty gin with very delicate citrus aromas in mind, and we set out to find it with a similar pep in our step. Like many of those who try their hand at something new, we questioned everyone and everything - especially when we found out that no one had ever used anything but dried fruit peels to make gin. We didn't know why that was, but we quickly determined that fresh peels would be the only option for us. Experiments with fresh lemons and grapefruits followed, and we were thrilled with the results - at first, at least. Experiencing the gin itself was pure bliss, but acquiring those precious fruits posed a real challenge. We were only interested in using the peels of fresh lemons and grapefruits, so they needed to be entirely untreated; that meant no fungicides, pesticides, wax, or anything else. Driven once more by our botanical curiosity, our search led us to the foot of Mount Etna, Europe's largest active volcano. In the Sicilian community of Sant'Alfio, which lies on a plane of lava that cooled more than 2,000 years ago, pesticide-free lemons flourish thanks to the mineral-rich volcanic soil. 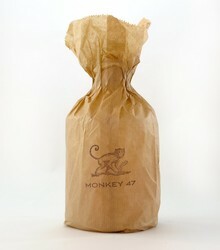 It's the ideal environment for producing the essences that are so fundamental to the taste and aroma of Monkey 47. Plus, the Fiery One is even kind enough to provide the necessary fertiliser through its natural dispersal of volcanic ash, which is guaranteed to be free of any additives. Infusing a gin with a fresh floral note is one of the most refined arts in distillation. In addition to lavender, the traditional source of the flowery aromas in commercial gins, we use the blossoms of Black Forest acacias and wild honeysuckle, as well as orris root, jasmine, and blossoms of Monarda didyma (scarlet monarda) that we import from North America. Besides ensuring the quality of these botanicals, the main challenge lies in blending these fragile fragrances with our gin's more dominant ethereal aromas. It's a balancing act that requires both a keen understanding of the senses and advanced distillation skills. After all, this process is all about drawing out and accentuating the nuances of individual ingredients. "Go where the pepper grows!" This German expression (which is a roundabout way of saying "get lost") dates back to the days when the sea route to India was discovered, which added countless new spices to the culinary repertoires of the colonial powers. This breakthrough would, of course, also go on to have a long-term effect on the production of gin. Through the discovery of quinine as a form of malaria prevention for the British colonial armies and the introduction of "tonic water", gin then rose to prominence as an important basis for a variety of cocktails and long drinks. While we readily admit that we sailed no high seas on our travels, we did go where the proverbial pepper grows to acquire the botanicals that go into Monkey 47. 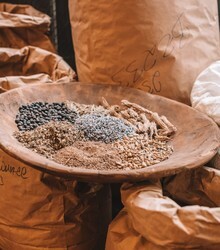 The exotic finds we brought back with us - including eastern Asian ingredients like cubeb pepper, cassia bark, coriander, grains of paradise, musk seed, allspice, cardamom, cloves, nutmeg, and liquorice - are what give our gin its unique and elegantly spiced finish. We think it was worth the journey. A good third of our ingredients come from the Black Forest itself and are definitely NOT what you would find in a typical gin! Along with bramble leaves and spruce shoots, Montgomery Collins also chose to include angelica, acacia flower, camomile, rose hip peel, sage, verbena, and hawthorn berries in his closely guarded recipe. The commander's original ground-breaking idea for creating a new type of gin was based on combining exotic spices with botanicals native to the Black Forest. The key to this eccentric blend, however, is another local staple that seems both surprising and yet made to enhance the right gin. Would you have guessed that the cranberry is what gives Monkey 47 its definitive twist? All the basic aromas you'd want from a good gin - refreshing acidity, lasting bitter notes, and a slight sweetness - can be found among the natural strengths of this tart fruit. It's that certain something that marries the rich untamed nature of the Black Forest's upper reaches to the extravagance of the British Empire. The low mountain ranges of the middle and southern Black Forest are home to numerous heaths that are dotted with ancient juniper trees. Since time immemorial, juniper berries have therefore been used to give aroma to the famous Black Forest ham. The entire ham is marinated in a juniper berry paste to infuse the meat with the plant’s essence. While this made the path to creating gin a short one for the Black Forest transplant Montgomery Collins, we now travel some distance to acquire this key ingredient. I admit, it would be fantastic to be able to say, oh yes, our juniper grows right here in the forest! The reason why it doesn’t has to do with the fact that the best juniper needs short, cold winters and long, hot summers with plenty of sunlight. Germany is famous for a quite a few things – a sense of humour that’s as celebrated as it is widely recognised around the world, for example – but the number of hours the sun doesn’t spend in hiding is generally not one of them. 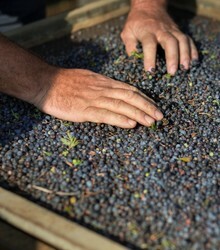 That’s why we turn to more suitable countries like Italy and Croatia (depending on where the latest harvest has been the best) for the ripest juniper berries, which lend our gin a sun-kissed aroma that puts local varieties in the shade. 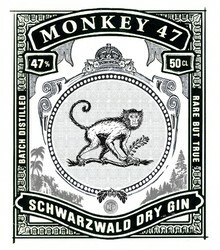 As I’ve already mentioned, we use no fewer than 47 hand-picked herbal ingredients to make Monkey 47. Hang on a minute – are you detecting something of a pattern here? You don’t exactly need to be Sherlock Holmes to figure out that the number of botanicals we use is meant to symbolise a composition of aromas that’s as balanced as it is complex. Monkey 47 also just sounds better than Monkey 48, if you ask me, but that’s neither here nor there. To create a truly high-quality product, you have to break it down into all of its constituent parts. Along with determining the right neutral spirits and water for our gin, the herbal ingredients we select play a fundamental role. Why? That’s easy: Even the best chef with the best equipment is only as good as the sum of his or her ingredients. Meanwhile, I initially had no idea how complex this aspect could be. What was best – fresh or dried, ground or crushed, or even frozen? All this would certainly be an interesting exercise in purely mathematical terms, but from a distilling perspective, it’s a challenge that’s at least as bewildering as Einstein’s theory of relativity...which makes maintaining your sense of humour all the more important. What’s the word again? Ah yes, “complex” – too complex, in fact, for a final comprehensive summary of this subject. I suppose simplicity just isn’t our speciality. The Monkey had a handsome bottle to call home, the recipe was approved, and the debt I’d amassed to make it all happen promised to be my ticket to going bankrupt with style. Things were getting serious; it was time to produce the first batch. Armed with a standard kitchen mill, I got to work on grinding up around 100 kilos of herbal ingredients. I soon felt a bit like I assume you would upon realising that you’d brought a knife to a gun fight. As such, I’d prefer to spare you the details of all that miserable milling, which came to an abrupt halt deep in the Black Forest at around four in the morning. “This probably isn’t going to work,” I conceded. Surrender? Heavens no. Christoph had just secured a key victory in the Battle of the Bottle Ring, and allowing him to get on a roll surely would have shaped our day-to-day interactions for years to come. 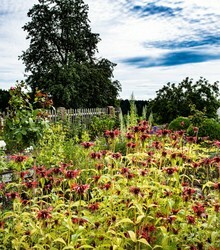 After compiling a checklist born out of rage and desperation, I attempted to develop a rescue plan for myself and the botanical chaos I’d unleashed. First question: Who’s awake at four in the morning and has access to a mill? Right; those busy bakers, the kind I encountered at Sigi’s Backstüble in Reutin at around 4:30. 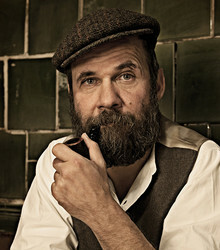 Sigfried Maser, the bakery’s as-yet good-humoured proprietor, saw before him a visibly addled gin manufacturer who was asking for permission to grind up “just a few” herbs. To be on the safe side, I avoided mentioning the 100 kilos of precious flora I’d left in the car for the moment. To my great surprise, Herr Maser was amenable to my plight. Really shouldn’t be a problem, he said; he had a Hummels 2000, after all! The very name of it sounded awfully professional to me. I was sure that if anything out there could handle my situation, it was a Hummels 2000...whatever that was. When I asked Herr Maser to help me retrieve those “few” herbs from my car, some kind of telepathic exchange of moods seemed to take place: Herr Maser now appeared to be somewhat distraught as he got straight to work, but had the support of a very chipper Herr Stein. At that point, it look less than an hour for the Hummels to work its magic. There was nothing else standing between me and batch number one. Strangely enough, however, they say that the rolls tasted a bit different on that February morning back in 2010. Cheers, Sigi! In financial terms, our design department was starting to resemble a Bermuda Triangle smack in the middle of the Black Forest. 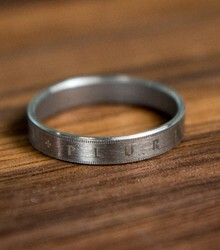 The choice between having an aesthetically engraved ring and addressing our mounting burden of interest proved to be no choice at all; after all, a ring is nicer than interest can ever be! Still, we needed a solution, and fast. It was time for that famed Black Forest ingenuity to work its magic again. Here, it’s important to know that besides a knack for clever fixes, a sense of obligation to involve oneself in matters that have nothing to do with oneself – you might also call it sheer curiosity – is a trait typical of people from the Monkey’s home region. In other words, it was a local group-brainstorming effort that provided the breakthrough idea we needed, and it was a brilliant one at that. Instead of manufacturing each individual ring, we would cut them from a length of stainless steel pipe. Simple, but you have to admit, brilliant! The 1960s-era machine I then acquired for this purpose still goes about its work day after dutiful day, creating the rings that crown bottles of Monkey 47. This was the start of an emotional rollercoaster that would only clatter to a stop after eight months of gruelling graphical gruntwork. In the process, we learned once more that innocent bystanders can be caught in the crossfire when one sticks to one’s guns. I mentioned something about a pact with the devil, didn’t I? Using a hole punch to simulate the perforated edges the finished product would have, we spent a few more weeks squabbling over the right colouring before putting our demons to rest for good in the spring of 2010. That brings us to the cork – the real showdown of the design process, which culminated in a series of high-pitched phone conversations. A deluge of debt was already nipping at my heels, and here my illustrious colleague from the south was intent on making it rain. Christoph wanted to put a ring around the cork. Here, it’s important to recall that the desire to win arguments is the glue that holds differing personalities like his and mine together. Fuelled by Christoph’s gnawing defeat on the neutral spirit front, the cork-and-ring issue escalated into a real bone of contention. I was subjected to a rather excessive number of e-mails, calls, and drawings – administrative waterboarding, if you ask me – with nothing but that pile of debt to offer as a counterargument. It was my turn to taste defeat: I was hence promoted, by foreign decree, from humble gin manufacturer to the Lord of the Ring. This is how an artfully decorated circlet came to adorn every cork and bottle of Monkey 47. They say that lies will catch up to you in the end. In my case, the benefits of the minor deception I’d like to tell you about were short-lived indeed. I was in dire need of a bottle that day, and the fates were standing ready to assist. As my son and I were strolling through a Stuttgart flea market, my eyes fell on a diamond in the rough: an old pharmacy decanter. Its UV-resistant brown glass and erudite shape seemed at once timeless, elegant, and refined. There was a catch, however – an expensive one. 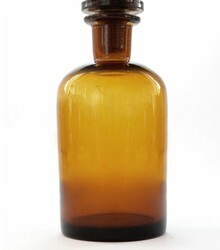 It cost just seven euros to make that old apothecary vessel my own, but my plan was to take it to a glassworks, where it would serve as inspiration for a custom-designed brown glass bottle. For us, using some standard item was never really an option. A few days later, I received a production quote along with the minimum quantity we’d have to order. I was shocked! I wasn’t looking to branch out into the glass industry; how was I going to afford that? I asked the friendly gentleman from the glassworks for some time to digest this rather unpalatable news. Apparently, my stomach is as strong as ever: The very next morning, I heard myself saying, “Brilliant, let’s do it!” Had something happened overnight? What exactly was brilliant about it? If I had to describe what happened next, I’d say that our perfectionist streak tore through my rudimentary financial planning like a tornado. But if I wind up going bankrupt, I’ll at least go out in style – and with my own bottle! So, it was settled: The Monkey was to take on a complex character. I was floating on a cloud of sensory bliss. That feeling would prove short-lived, however. During all the distilling and sampling, I simply overlooked a fairly significant detail: I was probably going to need a bottle at some point – but what form should it have, and what about the label and the stopper? When a journalist then contacted me to request a “packshot” for an article he’d already written, my apprehension began to swell into a kind of panic I’d never experienced before. The term was completely foreign to me at the time, but as I learned, this person was simply asking for a picture of the bottle. I should have told him that a picture was no problem – but it wouldn’t be of the actual container. Instead, I opted for a slightly more creative variation on that theme. Having spent some time in the United States, I was saved by the brown paper bags I’d brought back with me, which are the packaging the country’s laws require for purchased alcohol. Bag, bottle, stamp – there’s your packshot! So, where were we? Ah yes, our tour de force of the senses. Anyway, I’d invited over the crème de la crème of Germany’s cocktail creators, mixologists, bartenders, and hospitality experts for some “sensible” collaboration. It turned out that the Monkey was in a fairly polarising mood. What started off as self-confidence began to transform into a dense mélange of illusion and reality. Besides inspiring comments ranging from “too complex, too eccentric, and too pretentious” to “unique” and “sensational”, our distillate divided our tasting party into two camps: “as much aroma as possible” and “as much aroma as necessary”. Go from hunting singular scents to trying to please this crowd? No thanks! And so the decision was made – per l’ordre de Monkey, as it were – to leave our controversial composition in its original form. Furthermore, anyone who enjoys the unadulterated taste of juniper should take a trip to central Germany, or more precisely, to the city of Hagen, where the Steinhäger and Schinkenhäger schapps varieties are still popular today. The dumbest thing that anyone can say about gin is certainly the following: Gin should taste like juniper, and nothing else. (And sad to say, we have indeed heard this nonsense very often!) This is certainly NOT the case. Rather, it is a widespread assumption that is simply false. Distilled spirits flavored only with juniper have been drunk in Central Europe for more than 800 years, and have been produced in the Alpine region since the 14th Century. Gin is, however, much more than juniper alone, and it is arguably the most dynamic distilled spirit in the world. Developed in medieval monasteries, where alcohol distilled using archaic methods was flavored with juniper berries in order to mask the low quality and taste of the rotgut liquor, the first transformation occurred when the Dutch began making “Genever,” which was marketed by many physicians as a drug with medicinal properties. From Holland, the revamped distilled spirit traveled to England, and in the 18th Century it rose to the status of a ubiquitous national drug. The hype reached its apogee during the so-called “gin craze,” when the term “gin” became practically a synonym for every type of distilled spirit, and famines raged because all of the grain stockpiles were being plundered for the production of schnapps. The consequences for English society were brutal, and periodically forced the English monarchs to implement the “Gin Acts” – laws that prohibited the production of gin, and of brandies in general. Trade with the colonies, access to Middle Eastern and Asian spices and varieties of fruit, and the continuously developing technology of distillation, taken all together, contributed to a lasting improvement in the quality of gin. These factors also led to a change in the typical flavor profile, yielding a more complex and aromatic distillate. With the discovery of quinine (a compound found in the rind of the South American cinchona tree) as an effective malaria prevention, which the British armies had to contend with in the colonies, and the consequent introduction of “tonic water,” a soda containing quinine that could indeed be drunk if a bit of alcohol was added to it, gin finally reached the point where it became the base for a number of cocktails and mixed alcoholic drinks. The first of these of course, was the gin and tonic, whose popularity soared so rapidly that it became the most fashionable drink in the entire British Commonwealth within only two years. Gin was and is, consequently, a distillate with a tremendously dynamic evolutionary process, and it has developed over the course of the centuries from a unidimensional, low-quality liquor to a multifaceted classic whose quality varies, depending on the methods and ingredients used in its production. In other words, gin is much more than just a juniper drink, and yes, indeed: There is a breath of history in every glass! It is true that with regard to our sensory preferences, we were in agreement, but the joy I felt after arriving at this harmonious state lasted only until Christoph showed me the paradigm that he had developed specially for our project, which in its complexity fit in perfectly with the rest of the development process – displaying a fond eye for detail, obsessive, and bureaucratic through and through! What Christoph didn't know, however, was that I love Excel! The mere sight of a summation sign makes my heart beat faster! And believe it or not, I saved every scoring sheet after every tasting, and have kept them to this day. It is, of course, common knowledge that one should not make assumptions about other people's likes and dislikes based on one's own preferences, and I can understand, with some difficulty, that not everyone loves Excel. It was thus inevitable that at our first tasting, the jurors would be visibly overwhelmed by the task we gave them. Call it sensory overkill. With the proverbial carrot and a stick, and many words of explanation, we somehow got through this first semi-public tasting – which took four hours, mind you – and the worst thing about it was that I actually felt good doing it. Was this the first sign that I was falling into line? Be that as it may, Christoph was nervous and in a bad mood as he began to go through the scoring sheets for this first tasting, which served as our official dress rehearsal in the company of family members and friends, and marked the kickoff for an extensive roadshow. We filled the trunk of our car with numbered, generic tasting bottles, (our own bottle was still secret, and the design was not yet final), in addition to the somewhat “complicated” taste-evaluation sheets designed by Herr Keller, and proceeded to invite the crème de la crème of German cocktail connoisseurs, mixologists and bartenders to join us in our sensory labors. After stops in Stuttgart and Baiersbronn – a Black Forest town known for its cluster of Michelin-starred restaurants – we took off for Munich and Frankfurt. A number of prominent and well-known barkeepers took the time in those weeks to taste, test, and comment on the finalists among our recipes – all of which amounted to a pivotal and important moment in the still-young history of Monkey 47. After a series of morning tasting orgies, Alexander showed up nearly every time at the distillery armed with a sensory “ranking list.” We subjected our distillates to further tests, and analyzed the results, and argued, often continuing on late into the night. Having at this point by necessity adopted the familiar “Du” form when addressing each other, we maintained an undertone of friendly competition during our nocturnal sessions, in the course of which we had narrowed our list of possible gin compositions down to five favorite recipes. Believe me, the road from 120 possibilities to five is long and hard, but to my surprise, the two of us were mostly in agreement concerning sensory issues. Thanks to my deeply ingrained Swabian bookkeeping habits, we ended up with a long list of seven-digit numbers that we used to denote each of our distillates. Of course, I recall with particular pleasure the distillate with the ending digits -403, which would in the end prove to be the prototype for Monkey 47. A “carboy,” or glass bottle containing that distillate can still be found standing today in our maturation warehouse. At the point in time where we made our decision, however, there were still four other favorites in competition, so that I had to develop a paradigm we could use for our tastings that would enable us to comprehensively evaluate the distillates. Therefore, I created an extensive Excel database, which in addition to simply recording the taste of a given distillate in and of itself -- that is to say, neat, in a suitable glass at room temperature – could take into account a variety of parameters, such as, for example, a range of serving temperatures, the use of ice or up to seven different tonic waters, and dilution of the distillate with tap water. By assembling a multitude of possible combinations, I hoped to be able to get the broadest possible impression of the flavor preferences of our tasters – who in turn were chosen by Alexander. Alcohol is an essential and important component in every gin, in addition to water and a number of plant-based ingredients and spices -- or so it should be. And so it is shocking to discover that many experts on gin who have no experience producing this spirit continue to propagate the widespread myth that rectified ethanol, that is, so-called neutral spirits or neutral alcohol, actually has no flavor. It is possible, and even desirable for neutral spirits to produce no sensory effect – but depending on the quality of the alcohol and the agricultural product from which it was made, this is not always the case. After tasting more than 25 neutral spirits, which varied with respect to their provenance and agricultural product base (and also, unfortunately, with respect to quality), we finally made our choice, having proven that “neutral” doesn't necessarily mean a distilled spirit is really “neutral” in all respects. Busted! It was news to me, and I could hardly believe it: neutral spirits are, quite simply, not neutral, and the joyful expression on my partner's face confirmed it. Alexander had indeed been right when he brought in a neutral spirit (ethanol) made from molasses for us to sample in our private tastings. This spirit came from France, and contained 96.4 percent alcohol by volume. In my own defense I should note that when distilling fine fruit brandies, there is no need at all to choose a neutral spirit, as one must do with gin, which is, technically speaking, a “Geist” as defined by European Union rules. Gin is a very dynamic distilled spirit whose flavor profile has changed time and again, and has passed through a number of stages of development over the course of hundreds of years. Today the ideal is a fresh and lively-tasting gin, with a subtle and well-balanced flavor architecture that should not be marred by overpowering grain or bread notes (as is the case with, for example, the traditional “Genever” distilled spirit). 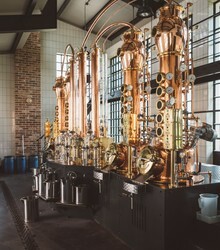 In a number of very different sensory and distillation experiments with about 20 different neutral spirits based on agricultural products – wine, potatoes, fruit, sugar beets, and various types of grain – I came to realize the extremely important role that a neutral spirit plays as a source of flavor of, and the base for, a good distilled spirit. And so the choice of ethyl alcohol made from molasses was easy to make, even if the idea came from Alexander, which of course I normally would prefer not to mention. Ethyl alcohol made from molasses, you see, has a special property that enables it to stably bond sweet flavors in particular, which are defined by terpenes and long-chain fatty acids, and to carry those flavors. Thus, it is the ideal alcohol for carrying flavors in distillates made according to a complex recipe! An essential element in our business partnership, the glue, so to speak, that holds two people as different as Christoph and myself together, consists in “being right!” And thus I recall with great pleasure and satisfaction how we settled on a neutral spirit for our gin. During the development phase we carried out a number of experiments with ethyl alcohol (also known by its official chemical name, “ethanol”) made from a variety of agricultural products, such as grain, wine, fruit, or my favorite, molasses. At the end of all of those deliberations, the outcome was, of course, inevitable: my moment of victory -- the revenge of the common man, who had been put through such a complicated and complex development process! We picked the molasses. I was right! We decipher the Black Forest DNA code! Let's imagine we're back in the late 1950s in the Black Forest. We find ourselves in a valley in the Black Forest, just about right in the middle, in the region around the town of Freudenstadt, far away from the big highways and the already halfway-rebuilt big cities that had been bombed-out, during the War. It doesn't take much imagination to realize that it wasn't possible to find Java peppercorns, abelmoschus plants, or cassia bark in every village mom-and-pop store. Coriander, nutmeg, lavender, all of that, to be sure, could be found, and naturally great quantities of juniper from the Swabian Alb plateau, and also angelica, a native plant which grew all over the area. But citrus fruits, on the other hand, were a tall order. Thus, all of the lore surrounding Montgomery Collins, and the many stories told about him and his special gin always mention the creativity that Collins employed in realizing his dream of creating his very own gin, in that he namely supplemented classic gin botanicals, and to some extent, replaced them with ingredients native to the Black Forest region. The local distiller who helped him develop his firewater would not have been much help in that regard. This man was a typical Black Forest schnapps distiller, and would not have made distillates from anything else besides cherries, Damask plums, mirabelle plums, apples, pears, or perhaps in a stretch, raspberries. There were by all means, however, people who could send Collins off on the right path: a few women in the village who were well-versed in the knowledge of medicinal herbs and aromatic wild plants. And a Black Forest tradition – preserving spruce shoots in honey – also found its way into Collins's Black Forest Dry Gin. Thus, for the exceptional, individual, and perhaps somewhat eccentric flavor of our gin, we use a number of ingredients that do not appear in the recipes for historical English gins. Some years ago, Christoph produced distillates that were made with spruce shoots, and which in addition to the typical and unsurprising resin notes also contained quite pronounced limonenes, and thus gave off fresh aromas of citrus. In Austria, such distillates are called “Maiwipfelgeist,” since the spruce shoots emerge in the month of May. In addition to the spruce shoots, we use other essential ingredients that can be found in traditional Black Forest herbal teas, such as blackberry leaves, (mild sweetness), acacia blossoms (very aromatic honey), hawthorn and dried sloes (astringency), elder blossom (crispness) as well as rose hips (vegetable). But the true Black Forest secret weapon turned out to be my rather coincidental discovery of, and improper application of the properties of the lingonberry. The lingonberry grows over a wide area in the Black Forest, and the plants are found standing close together, near blueberries, in acidic soil, primarily on mountain ridges in the southern Black Forest. As a child growing up in Stuttgart, I participated at least once a year in the annual “berry harvest” – during the obligatory class trip to a scenic lake, either the “Schluchsee” or the “Titisee.” Armed with plastic bags and special harvesting tools known as “lingonberry combs,” whole school classes would set out to collect the essential ingredient needed to make lingonberry preserves at home. Today, of course, this is illegal – both the lingonberry comb, which can damage the plants, and the “organized harvest” of lingonberries, which are a protected plant species. And although the lingonberry possesses everything, in terms of its aromatic properties, that we would hope to find in a good gin – strong bitter notes, accentuated acidity, subtle fruit – it is not the lingonberry's potential effect on the taste of our gin that is of paramount importance when it comes to our technique of pre-maceration, even if we hear time and again from a few very smart people who “know their way around the world of gin” that they can detect the “very noticeable” taste of lingonberries in our gin. I highly doubt those assertions, and really, we don't use lingonberries to impart their flavor to our gin, but rather in order to bring about the textural changes in its ethanol base, as described above. Uh-huh. Right. “Aroma paradise,” “distiller's heaven,” “Middle Eastern bazaar,” – looking back, it all sounds so very nice (personally, I actually think all of that rapture sounds like a cross between a Rosamunde Pilcher romance novel and a really kitschy Bollywood movie! 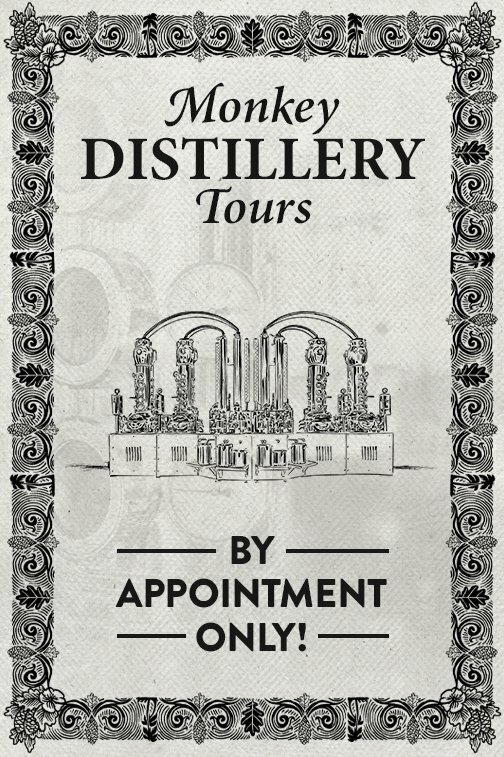 ), and I can imagine that Christoph had lots of fun while he was barricading himself in the distillery for weeks or months on end with his macerations, and carrying out his test distillations (we could speak here of “distiller's orgasms”). But somewhere along the line, all of those products have to be savored, tasted, evaluated and tested – and that's not fun, it's hard work! Poor me? Yes, that's exactly how it was. And that was not a lie. Because as much fun as it can be to explore the sensory differences among various distillates, anyone who has ever tasted only 20 gins in earnest, one after another, will know that this is not child's play. Although gin is a very “clean” spirit, it is nonetheless a highly aromatic spirit, and one with a relatively high alcohol content – and in our case, some of the distillates had not even had the alcohol content reduced to the level normally found in distilled spirits meant for drinking, that is to say, they had an alcohol by volume of over 80 percent! After the first ten little test glasses, the color in your face starts to get darker; after the next ten, the muscles in your jaws become somewhat stiff, and after 10 more of those little glasses, your palate can't perceive much of anything anymore. I have been on many competition juries, and have upon occasion drunk 50 “Kirschwasser“ brandies, one after another, but that's nothing compared with gin. And if it's your own product that's at stake, and you want to get the best results possible, and you need to make the right sensory decisions – that's a whole different thing altogether. 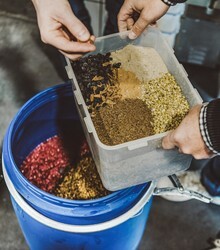 In order to meet the standards that we had set for ourselves, we had to slog our way through many test distillations, with hundreds of rejected combinations of a number of exotic ingredients, in addition to many from the Black Forest, and some ingredients traditionally used in the making of gin. Looking back, I would say in my weaker, more sentimental moments that this was the best time of my life as a distiller. And in my weakest moments (which come along very infrequently, thank God), I am very grateful to Alexander for going through this process with me, and supporting me throughout this period. 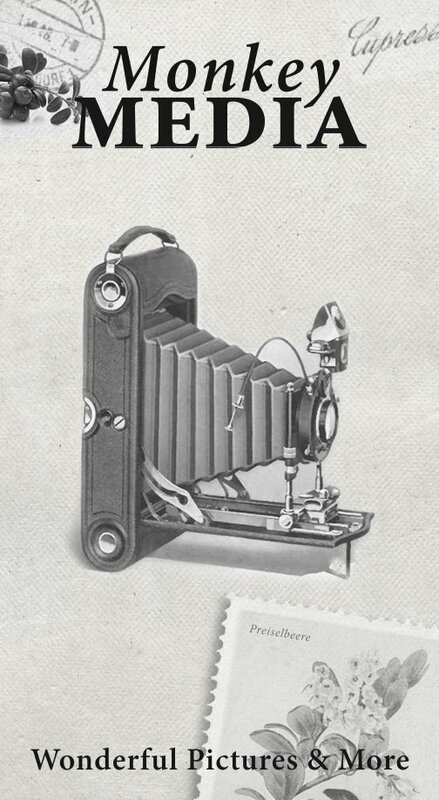 I imagine that he had pictured things somewhat differently. It all began when we sought the guidance of one of the most renowned biologists specializing in aromatic plants – Dr. Bernd Dittrich, whom I knew from my work with him on the production of herbal distillates. My wife, Christiane, reconfigured our herb garden, and in our greenhouse, she grew a number of plants from cuttings, including several types of Monardas, whose blossoms we wanted to use. And since Alexander had more or less of his own volition given me “Carte Blanche” for testing the aromatic properties of natural ingredients, I could take full advantage of the situation. 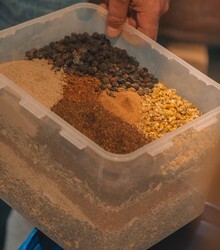 I myself, however, was quite shocked when my “small order” of spices, herbs, seeds and roots that we could not cultivate ourselves showed up one fine morning in the form of a truck with six pallets full of marvelous spices from Asia, Alpine herbs, and fragrant blossoms, all of which we unloaded. And when, having quickly set up four makeshift tables in our parlor, we piled up the more than 200 little cans, boxes, and bags with the most splendiferous botanicals from around the whole world, and the fragrances wafted through the whole house, spreading the aromas of a Middle Eastern bazaar, or the dock of the East India Company, well, at that point I had finally arrived in distiller's heaven! When we settled on a classification for our gin we made a deliberate choice. We did not merely intend to produce one more dry gin just like any other, not in the least. What we were aiming for was something I called “Schwarzwald Dry Gin.” This was not envisioned as an official classification, but rather as a symbolic target that would enable us to surpass the existing quality specifications for the dry gin category, which we do, by the way. I can hear you – a gin from Germany, isn't that strange? Well, actually, it's not as strange as it might seem. In the strictest sense, gin is defined as a combination of spirits distilled from herbs and fruits. And nowhere else in the world will you encounter the wealth of distilling expertise and centuries of experience that are to be found in southern Germany. This is where the world's most renowned distillers work, and where traditional coppersmiths build the world's best distilleries. 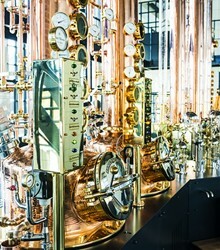 So it comes as no surprise that British gin producers often place their trust in the expertise of southern German equipment manufacturers and the skills of Swabian coppersmiths. Baden Württemberg in particular – with more than 23,000 active micro-distilleries! – has a concentration of distilleries that is unrivaled in its diversity worldwide, and includes establishments that can draw on a centuries-old tradition (actually dating back to protective orders issued by members of the Habsburg dynasty). Indeed, the unrivaled accumulation of know-how in this German state makes Great Britain, the home of gin, look like a miniature distilling monoculture by comparison. The reason for this is delightfully simple: The Black Forest region not only benefits from its natural landscape, venerable distilling tradition, and innovative inhabitants, but it also provides essential ingredients, such as pure spring water and exceptionally aromatic berries and varieties of fruit. And so, the idea of making a gin here in Germany appeared to me at this point to be quite logical, since the key ingredients needed for a Schwarzwald Dry Gin were all right here, in the Black Forest. The distillation of herbs, spices, fruits, roots (along with vegetables, honey, mushrooms, nuts, the needles of coniferous trees, etc.) was, to be sure, one of my core competencies, and I could fall back on my experience working with a number of plant materials, all of which was relevant to our situation. Nonetheless, the creation of a well-harmonized recipe presents a particular challenge for a distiller. 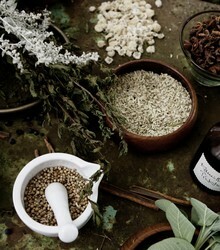 It's not enough to know how the various substances – fresh or dried, ripe or unripe, ground or whole – taste and smell, and it also doesn't suffice to know what will happen with any one of the given aromas when it is distilled on its own, without any other aromas, or how the aroma in question will develop in the course of the distillation process. One must rather analyze the properties of the various substances as they interact with each other when combined in a distillate. It seems that there are gins that are produced by mixing together several distillates that are respectively produced using a single aroma (in technical jargon, we would speak here of a mere “blend”). 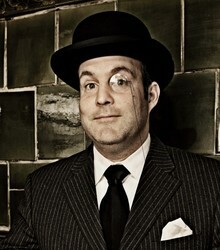 These gins are not however, strictly speaking, “London Dry” gins, and this approach will never yield a complex distillate, since the various terpenes and fatty acids interact with each other in the heat of the distillation process, so that they augment and alter each other's molecular structures. In other words, the only way to achieve a really complex, well-harmonized, multifaceted gin is by combining the botanicals in the stages of maceration, digestion, distillation or percolation. Yes, that's the way it is – and real soccer, I mean, football, is only to be found in England. We have already described above the legally mandated standards with respect to gin. On top of that, there is no real reason in and of itself that good gin should come only from England or London. Whether it comes from Germany, Holland, England or Tasmania, whether it's from the Northern or Southern Hemisphere, is quite immaterial. A good gin will always be a good gin, and a bad gin simply a bad gin, irrespective of geographic location. The use of the term “London Dry Gin” does not, as is generally believed, denote any connection to the city of London, but rather describes a set of regulations regarding quality standards in the production of a Dry Gin. Myth busted! Before we get started, it's important to understand that there's more than one kind of gin. Over the centuries, several different styles have been developed, including Old Tom, Plymouth, and London Dry, and lawmakers in the EU have imposed a system of classification that provides a legal framework for modern-day makers of gin. In other words, one gin may well be quite different from the next. They can be distinguished not only by their taste and level of sweetness, but also by their respective methods of production. According to EU legislation, gin is a juniper-flavored spirit drink produced by flavoring organoleptically suitable ethyl alcohol (that is, ethyl alcohol that will stimulate the sense organs) of agricultural origin with juniper berries (Juniperus communis L.). The minimum concentration of alcohol by volume in gin is 37.5 percent, and only natural flavoring agents and/or those identical to them as defined in the regulations are to be used for the production of gin, and juniper must be the dominant flavor in the taste profile. Too complicated? OK, let's simplify that description somewhat: Gin is a spirit that is made using an agricultural spirit base, and flavored or cold-compounded with a juniper aroma, rather than real juniper berries. Other natural or artificial aromas are added to the mix in such a manner as to allow the juniper flavor to dominate the overall taste. This method of producing gin has nothing to do with distillation, and is exactly the opposite of what we are doing. But since it is the least expensive method of producing gin, it has proven to be very attractive to producers who are in it just for the money. Fortunately, producers of Dry Gin have to follow more rigorous production guidelines and employ methods that yield higher-quality products. Plain “gin,” with no further designation, occupies the entry level within the legal classification system. Next up is Distilled Gin, which stands out from plain gin in that its base spirit must be redistilled together with natural ingredients, including juniper berries. In theory, this process will generally lead to a more balanced and flavorful product, compared with a gin that is made by simply adding flavorings to a neutral spirit. But since other natural or artificial flavor compounds may be used to add more flavors to distilled gin, that means that not all of the flavor comes from the distillation process. So, let's forget about the legal definition and focus on what really matters: Dry Gin, or London Dry Gin is the most strictly regulated designation in the gin family, and thus it generally refers to products of a higher quality and aroma density. London Dry Gin is obtained exclusively from ethyl alcohol of agricultural origin, with a maximum methanol content of 5 grams per hectoliter of 100 percent alcohol by volume, and the flavor is produced solely by the re-distillation in traditional stills of ethyl alcohol together with all of the natural plant ingredients used, and the resulting distillate must contain at least 70 percent alcohol by volume. The difference between London Dry Gin and a basic gin, or a distilled gin, is that the former contains neither added sweeteners in excess of 0.1 grams of sugars per liter of alcohol, nor colorants. In plain language, for anyone who isn't a lawyer or a chemist, it comes down to this: all of the flavor in a London Gin, or London Dry Gin, comes from the redistillation of a neutral spirit along with natural plant materials, and the only additive is water. But what about Schwarzwald Dry Gin? OK, we admit it – Schwarzwald Dry Gin is not one of the official classifications. It is, rather, the term we use to describe our strict, rigorous quality specifications. Technically, Schwarzwald Dry Gin falls into the Dry Gin category. 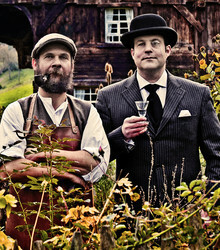 Schwarzwald Dry Gin is obtained exclusively from ethyl alcohol of agricultural origin that is made from molasses, with a maximum methanol content of only 0.5 grams per hectoliter of 100 percent alcohol by volume, whose flavor is introduced solely through the process of redistillation in traditional stills. For some time afterward at the Stählemühle we referred to Alexander as “King Louis” – this was a reference to the king of the band of monkeys in “The Jungle Book,” by Rudyard Kipling. Alexander was simply the man with the monkey gin from the Black Forest. This characterization of him was not necessarily a disparaging one, but rather, it reflected the detached and ironic way in which we dealt with each other in this first phase of feeling each other out. We were setting out to make gin together, not get married. Yes, I had underestimated Alexander. I had miscalculated not only in thinking that he would be scared off by the idea of making a real craft gin, and by the considerable time and expense that the development of such a gin would entail, but I had also underestimated his sensory capabilities. The man may not have known a thing about distillation, not a blessed thing about long-chain fatty acids and terpenes, but his ability to perceive and interpret tastes and smells was quite well developed. I have to say that in the first few months of our cooperative venture, I learned a lot from Alexander, in particular the necessity of expanding my sensory perspective, and I had to change my mind about a few things. While I did have an extensive knowledge of the aromas and fragrances that have a role to play in the world of brandies and schnapps, of herbal distillates, of perfumes and the eaux de vie that are drunk when smoking cigars, I had – as a matter of character – no familiarity with the perspective of a bar habitué, or of a connoisseur of mixed drinks and cocktails. Due to the differences in our backgrounds and experience (on the one hand, the drinker; on the other, the distiller!) we would be able to complement each other perfectly in the many tasting sessions and decisions that lay ahead. But it took quite some time before we got to the first tastings of actual test distillates, and so perhaps I should begin at the beginning. Gin distillers face a greater challenge, than, say, distillers of absinthe, for one important reason. It is possible to find any number of publicly accessible, detailed recipes for absinthe dating from the 19th century, which in turn make it possible for us today to distill a 100-percent historically accurate absinthe. But this is not the case for gin, whether we are talking about a list of herbal ingredients, or the technology to be employed. Producers and distilleries keep the recipes for “their” varieties under lock and key, or they publish at the most a few rudimentary hints concerning their distillation process. And so, anyone who would like to distill gin must find the answers to a number of questions, and have a very experimental nature. 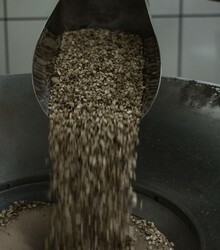 Concerning the technological aspects, it is necessary to settle the question of whether to use a continuous or batch distillation process, whether to opt for single-stage or multi-stage distillation, whether to use a hot or cold maceration process, steam extraction or percolation, whether to use “Carterhead” stills with their separate baskets for the botanicals, whether to rectify the crude spirit with a rectifying column, and so on. All of these different processes can absolutely be used, and are in fact quite common. As an aroma junkie, you have to find your own way through this jungle and its very particular technology – but we'll tell you more about that later. Nonetheless, we had not yet come to an agreement as to how, or even whether we would work together. But that question, too, would be quickly settled – once again, due to a coincidence. Christoph had brought me a gift of lingonberry brandy, announcing as he placed it on the table, “Here's the real Black Forest for you!” We did not, however, touch the bottle that evening, since we were so occupied with all the different brands of gin. After Christoph had gone, I sat there at the table, which was still covered with bottles and glasses. On a whim, I picked up the lingonberry brandy, opened it, and poured some into a glass and mixed it with one of the industrially-produced gins. With the addition of the lingonberry brandy, this rather flat gin, which had practically no aroma, was suddenly transformed into a spirit with a full-flavored, complex aroma, with a subtly fruity note and ... a tremendous, lingering finish! Just what we had been talking and thinking about a short time ago – and I had it in the glass right here in front of me. Of course, this blend still lacked the fresh aromas of citrus and the entire floral superstructure we had been talking about. But I had made a decision, and fortified my courage with the requisite quantity of spirits! Now I just had to call my bearded partner and tell him about my experiment. Of course, I would employ the right tactics, cleverly embedding my tale within a thick layer of flattery regarding his superb brandy. “Throw the monkey a cube of sugar,” –get him fired up -- as the German saying goes, that was the order of the day. And the appeal to his vanity worked. Christoph was hooked, he was on board. We could get started. The Black Forest Distillers had been born, and within a short time, we had set up our company. I have to admit that this was absolutely not the way I had imagined things. Back then, I had just left Nokia, a huge company. If a decision was made there to develop a new product, the whole thing happened lickety-split, and within a few months, we had a new telephone model, ready to ship out to customers. It was a high-volume business, and prolonged development timelines were not financially feasible. Now, here I was, sitting in Christoph's parlor for a leisurely coffee hour, and the man was rambling on about complex aroma structures and head notes, talking about how there were at least 120 spices, herbs, roots, and whatnot that we could use, and proposing a development timeline that involved hundreds of test distillations, and I was getting quite dizzy – even before the subject of a “budget” was cautiously broached. In effect, Christoph had put a gun to my head, saying: “If I'm going to get involved, we're going to do everything according to my philosophy. Everything is going to be made by hand, from real ingredients, and the gin is going to be distilled like a macerated-fruit brandy.” Thus, I had the choice between putting my gin-making future in the hands of this character in his overalls and full beard – or to get out of there as fast as possible, which at that moment seemed like the right thing to do! And so, after this first meeting, we drove back to Stuttgart without reaching any agreement – and we were greatly relieved to have escaped the clutches of this dogma-obsessed distiller. But back at home, once again, I couldn't sleep at night. And at this juncture, I should be fair and tell you that this hippie in overalls, I mean, Christoph, was really a very nice guy, and evidently anacknowledged expert on the art of distillation. And maybe he was actually right – maybe I really should make a gin that could be drunk “neat” – without even an ice cube to dilute it. This gin would be handcrafted in the traditional manner, and would possess a greater individuality and be finer and more complex than any other gin that had existed up until the present. Sometimes I pictured myself sitting down at my bank in Stuttgart. “Dear Mr. Banker, I have a fabulous idea: I am going to make a Black Forest gin together with a beatnik distiller down by Lake Constance, in a micro-distillery. It's going to be a great thing, but it will take a while, you understand – the 120 distillations to get the aroma notes right, and all that -- and so we need a good-sized loan, but we don't have any collateral for you.” I was breaking out in a sweat every night in my bed. We were in the middle of the international banking crisis, and the headlines in the business section of the paper were full of the term “systemic importance” in relation to the banks. Perhaps it would be smarter, then, to get a somewhat less demanding distiller involved in this project – or was the distiller not a “systemically important” factor in this context? The first thing I decided to do was to change my tactics. That is to say, I overcame my reluctance to plunge ahead with this artisanal gin project, and invited Christoph to visit us at home, so that we could get to know each other better. I had bottles of about 20 different brands of gin set up, and my plan was to soften him up somewhat with a bit of shop talk. And it actually worked; my plan was a success. We sniffed, we tasted, we chattered away – and we had a marvelous time doing it. Basically, we came up that evening with a rough sketch of our perfect gin: a contemporary gin, that is, refreshing, and therefore not heavy with grain, but rather possessing a sweet, floral head note, fragrant, flowery but not overly so, with a fresh citrusy “mezzanine” or interim note, a solid heart note of juniper and intense spice emerging on the palate, complex but well harmonized, and a subtle, fruity base note that would resonate with the kind of persistence normally associated only with fruit brandies. And lo and behold: these two different types of people (the two of us, that is!) had, to our mutual surprise, come to an agreement! There on the table lay the rough draft of the sensory profile of a perfect gin that would be a genuine, handcrafted distillate! Just the kind of gin that we would both like to drink! And so it was that in November, 2008, I received a telephone call that set in motion a chain of events. On the line was a Herr Stein, who introduced himself and made a timid request – could he please pay a visit to me one day at the Stählemühle distillery, and perhaps tell me about an idea of his? Today I would most likely react in a very different manner, but at that time, in spite of my justified skepticism, my curiosity won out, and in the end, the Steins père et fils paid us a visit at the farm in January, 2009. The day could not have been soggier. Rain fell without cease, puddles were everywhere, and the mud on the farm was ankle deep. The two gentlemen in their fashionable clothes and Italian leather shoes must have thought, as they took in the sheep, the goats, the chickens and the rustic distillery, that they had found their way to the proverbial end of the earth. As for me, I thought a couple of “secret agents” had come calling from the big city. Nonetheless, we got along very well with each other, thanks to a few basic things we had in common – that is, our Swabian background and the homeowner's mentality that Swabians are famous for, along with the cultivated irony typical of our generation in Germany. During a classic Swabian coffee hour with thick, buttered pretzels, we got to know each other better, and I was told the story of Montgomery Collins and his Black Forest gin – and then it was suggested that we join forces to bring this gin back to life. I refused flat out. What was I thinking? I suspect that I was the only person in the room that day who did not recognize the possibilities inherent in this idea, or the potential this cooperative venture might hold. What can I say in my own defense? Well, for one thing, back then gin, as an industrially produced spirit, was an utter no-man's-land for a distiller, and an artisanally distilled gin made with natural botanical ingredients was nowhere on anyone's radar screen. Gin was simply a neutral distilled spirit to which cheap aromas were added, a mass-produced liquor to be used as the base for mixed drinks, and one that respected distillers could in no way be linked to. On the other hand, I realized immediately what a huge effort it would be to develop the kind of gin that was being proposed. Like absinthe and aquavit, gin is a very complex distillate, and many factors play a role in its development: a variety of ingredients and natural substances (the so-called “botanicals”), the quality of those ingredients, the distillation process, which may use any of a number of very different technologies (see our description below) and the sensory profile, which, as with perfume, consists of head notes, heart notes, and base notes. As a compound spirit, combining a fruit-based spirit (juniper, citrus, or berries) with an herbal spirit (herbs, blossoms, roots, or spices), gin presents the ultimate challenge for an artisanal distiller (surpassed only by fruit brandies!) and just cannot be compared to simple, mass-produced spirits such as, for example, whiskeys, vodka, rum, or tequila. With those spirits, the distilling process and the skill of the distiller play only a minor role. Furthermore, while I thought the gentlemen in their custom-tailored suits were nice enough, I didn't think we were on the same wavelength. I automatically assumed that they wanted fast results, and planned to spend as little money as possible. That is why I pretended at first that the whole proposition didn't interest me at all, and I came up with a “development scenario” which, in keeping with our philosophy at the Stählemühle, foresaw a 100-percent artisanal distillate, made with 100-percent genuine botanicals, with absolutely no additives (aromas or sugar), whose development would take about one-and-a-half to two years, and would require a substantial budget. I was quite certain that this plan would serve as an effective deterrent, and send the two gentlemen packing. But I had grossly underestimated Alexander. Alexander Stein had just returned with his family from the USA, bearing with him the idea for a gin from the Black Forest that would be based on a historical gin from the area. At the age of 35, Alexander had already had a tremendously successful career as a top-level manager, and after several stints in Europe, he was working in Detroit for Nokia, in charge of sales to the automotive industry in the USA. Anyone who knows Alexander -- and has come to appreciate his subtle, ironic humor, his resolve, his facility for wordplay, and his flights of creativity – can well imagine that the organizational structure of an international, impersonal megabusiness (which, to be sure, did provide valuable experience) was not the right environment for a Swabian free spirit like him. After his two children were born, it evidently didn't take long for Alexander to decide it was time to quit his job, go back home to Baden-Württemberg, and get started on a project of his very own. This anecdote was the initial spark that lit up Alexander's imagination, leading first of all to several sleepless nights, and then to the decision to bring this historic Black Forest gin back to life! It should be noted here that this was not an entirely far-fetched idea, because Alexander actually did know a thing or two about spirits. He comes from a veritable “liquor dynasty” from the Rems River valley near Stuttgart. His grandfather owned a schnapps distillery in the town of Grossheppach that grew into a sizable enterprise under the management of Alexander's father. The name of the schnapps sold by the “Privatweinbrennerei Jacobi” was “Jacobi 1880,” whose advertising jingle was, “Tastes great whether you're 18 or 80!” Over time, as the distillery imported brands such as Fernet Branca and Absolut Vodka into Germany, it developed into a major player in the German spirits sector. Alexander told me many times, when we were sitting together in the distillery, about his childhood and how he had to climb into the great big stills in order to scrub the copper! Nowadays, in an era of political correctness, it seems improper to talk of such things anymore, but back then, this was absolutely a job commonly performed by children, since the so-called “manholes,” that is, the openings in the stills, were too small for grown men to fit through. In any case, Alexander absorbed the distiller's craft at his mother's breast, so to speak, and he knows the winding paths of the world of distilled spirits backwards, forwards and sideways. But when the time came for setting out on his own path in life, and making decisions about his education, Alexander decided not to go into the family business, but rather, to study business administration with the aim of becoming a top-level, globetrotting manager. 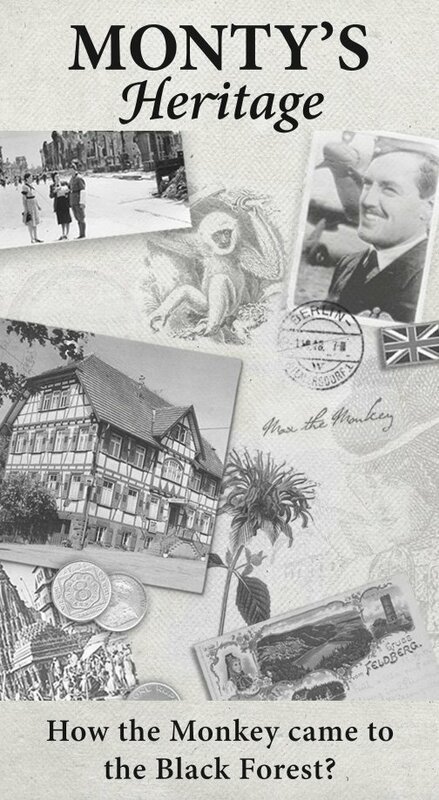 The “Privatbrennerei Jacobi” and its brands were sold, but Alexander's father, Jürgen Stein, has maintained a number of connections to the distilling business, along with his epicurean appreciation for fine spirits, right up to the present. At times, I have tried to get Alexander to tell me whether he had ever regretted the decision he had made in his youth. There is absolutely no indication that this is the case – and today, it seems, the pieces of the puzzle have come together, and the world of distilled spirits once again has Alexander firmly in its grip! The road to that point, however, was a long one, because a number of obstacles had to be surmounted before the intention to bring a historic Black Forest gin back to life could result in the “Schwarzwald Dry Gin” of today. I never set out to be a schnapps distiller. That happened quite unexpectedly, and totally by chance. As a young man, I made art books, and up until about 10 years ago, I knew practically nothing about distilling alcohol. But sometimes in life, new paths open up ahead, and one needs only to follow them in order to find along the way something like self-fulfillment, or even a calling. That's the way it was with me, at least ... and today, I am a distiller with a passion, and practically fanatical when it comes to the pursuit of distilled aromas. In 2004, I took over an old farm located between the Black Forest and Lake Constance. This was the “Stählemühle,” a mill property that came with an agricultural distilling license that was granted in the mid-19th Century. In order to keep the distilling license current, I began in 2005 to distill schnapps. This hobby grew at first into a passion, and then it became a career. I can remember the moment quite distinctly: I was sitting at my desk on a rainy day in Detroit, in the fall of 2006, when an old friend from Germany called me up and told me a story that would change my life in a fundamental way. This was, namely, the life story of the young officer and bon-vivant Mongomery Collins, the great-grandfather of our little Monkey. I was completely fascinated by Collins's eventful and multifaceted biography – from his beginnings as the well-traveled child of a diplomat, to his years as a soldier and his time in Madras and Berlin, and finally his arrival in the Black Forest, and his transformation from a man of the world to a simple Black Forest restaurateur – right from the moment I first heard the story. I was enthralled, no, I was obsessed with the idea of producing a Black Forest gin whose aromas would come from local ingredients, and I was determined to breathe new life into an old recipe. I succumbed to a veritable “ginfection” – the gin virus had taken possession of me, and from then on, it had a perniciously intense effect on my well-being. But one thing after another ... to begin with, a number of problems came up, some of which were to be expected, and others that were totally unforeseeable. At that time I worked as a general manager for Nokia, the Finnish telecommunications concern, and I lived with my wife and young children in Detroit. As far as the subject of gin was concerned, any knowledge or experience I had was limited exclusively to the consumption – and not the making – of said product. These were not exactly the best qualifications for becoming a producer of gin – but that, ultimately, was my plan! Thus, the enthusiasm of my closest friends and relatives for my new “fixation” was so low that you might say it had hit the freezing point. But may I add in my own defense that in the year 2006, gin was not considered to be a “trendy liquor,” and certainly not a luxury spirit – quite in contrast to the situation today, when every distiller in every wood and dale, every connoisseur, and anyone with a bar at home has, by his own account, become an expert on gin. At the end of 2008, to the general dismay of my family and friends, I did indeed decide to quit my job, and after a number of years spent abroad, including stints in North and South America, I moved back to my homeland, the German state of Baden-Württemberg. In my somewhat overambitious estimation, this step represented a putative turning of the corner: I was namely unemployed, and no longer in the USA – thus, I could get started immediately! Unfortunately I had, however, overlooked the fact that my knowledge and skills with regard to distilling gin were still rather meager, or wholly nonexistent. Thus, I had to go out in search of a master distiller who could work with me to turn this idea into reality. And thanks to several coincidences, I met up relatively quickly with Christoph Keller, who is one of the best distillers in the world, and makes legendary schnapps. 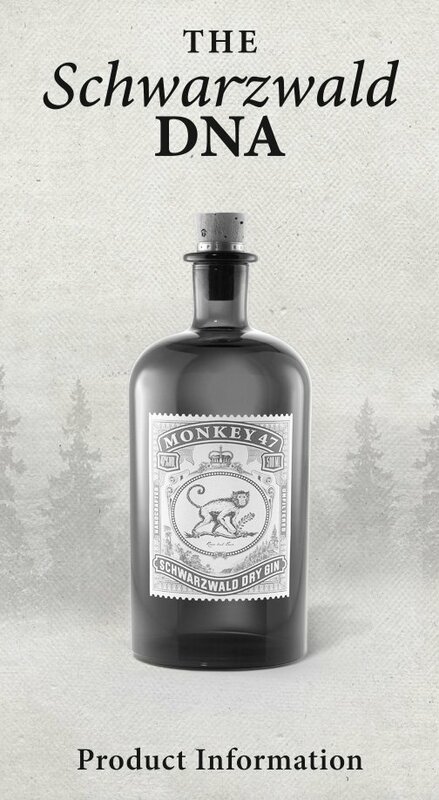 We really are not kidding when we explain over and over again that when we were, so to speak, “kissed by the Monkey” about six years ago, we didn't want to create a “brand,” but rather, just a really good gin. We set out to produce aromas, not alcohol. For that reason, we shouldn't be mistaken for typical “spirits producers” or “liquor entrepreneurs”; we are schnapps distillers to the core. We have followed age-old traditions in the learning of our craft, and we immerse ourselves every day in the finer points of the honorable art of distillation – not just as an intellectual pursuit, but rather in a very concrete and practical manner, “hands-on,” in the distillery. And this distillery isn't some factory out there somewhere, but rather a facility where spirits are distilled, by two real people who are passionately devoted to their craft and its very essence. And so in this blog, we would like to personally give you insights into our work and a glimpse “behind the scenes,” at a reality that exists at some remove from the stories that are told about us time and again. 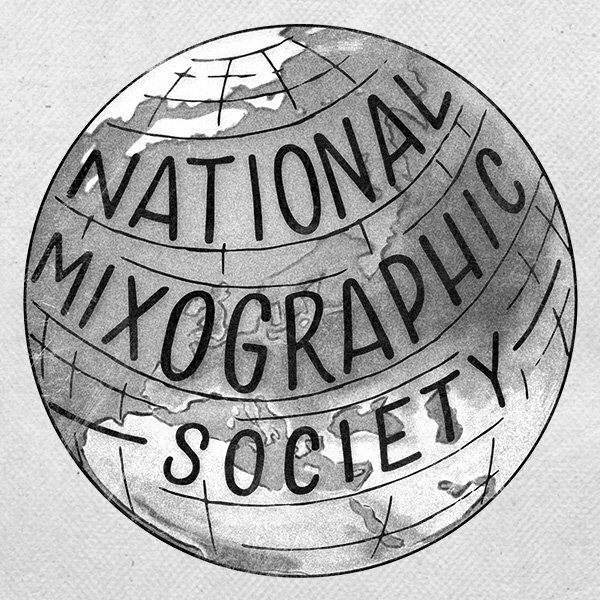 The main subjects that we intend to discuss include the history of how the Monkey came to be; our life stories and our everyday lives; the historical development of gin and the technology of distillation; the individual steps involved in the production of a craft gin; and the variety of botanicals that we use, their selection and processing. We also would like to express our very subjective opinions on a number of topics that have to do with gin, and on the yarns and myths that it has inspired. If you keep scrolling through our blog with an attentive eye, you will come to understand what makes us tick, and why it is that Monkey 47 tastes the way it does.